You maybe fantasized about the idea of using LED lights in your homes for saving electricity bill and contribute to green nature. Well, there is something more interesting feature of these LED light which could be of more benefit to you. Imagine, Wireless Internet Systems running on nothing but a LED lightbulb. Four years ago, a Professor Mr. Harald Haas came up with this idea and now he is back with a working model of it. If this invention catches on, all you’ll need is a light bulb and a solar cell to get online in the not so distant future. The R&D team bringing Li-Fi to the real world expects that solar homes, consumer gadgets, and Internet of things devices will be able to absorb power and receive data simultaneously with a Li-Fi system in place. 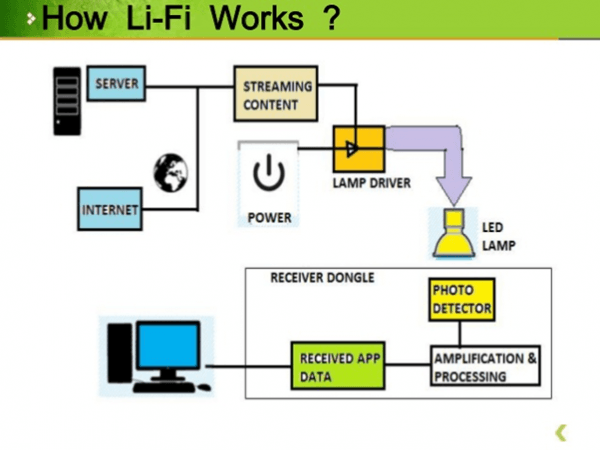 Li-Fi uses the nearly undetectable flicker of LED light to transmit data. 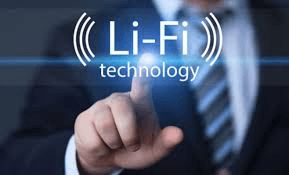 Because Li-Fi relies on light to transmit data, you have to be in the room with your device and the Li-Fi router in order to get connected. That would preclude strangers or literal outsiders from piggy banking on your connection or eavesdropping on your online activity,[ HACKERPROOF]. 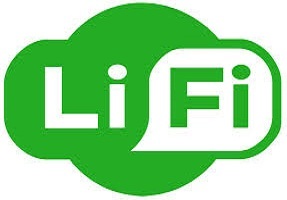 Where most of the cellular network connections, WiFi are facing spectrum shortage problems, Li-Fi has almost no limitations on capacity. The visible light spectrum is 10,000 times larger than the entire radio frequency spectrum. Researchers have reached data rates of over 10 Gbits/s, which is really fast (approximately 250 times faster than superfast broadband). In addition to it, Li-Fi is expected to be ten times cheaper than Wi-Fi. However, like every coin has two sides. It too has some shortfall. It works over short range, has low reliability and has high installation costs. But we really don’t care about these problems if a technology is promising you 200+ times more speed. Do you?